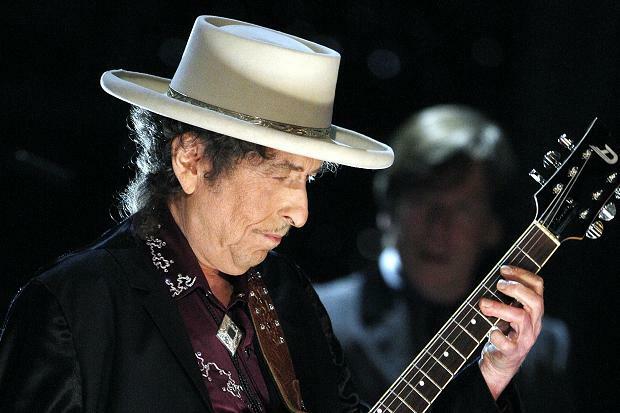 Bob Dylan : The Nobel Prize, One Too Many Mornings, The Albert Hall & Me! 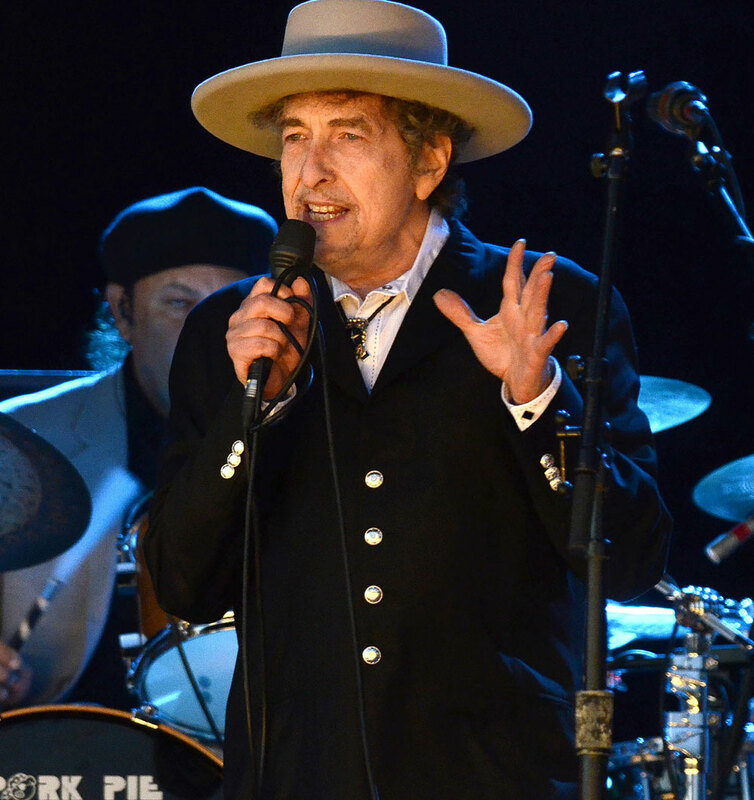 In honour of Bob Dylan being selected as the 2016 Nobel Laureate for Literature I am Reblogging one of the very first Immortal Jukebox posts which combines a tribute to Bob with a review of his 2013 Albert Hall concert in London. Some may argue that as a songwriter/performer Bob does not qualify for the Literature Award. Frankly, I regard such views as unforgivably petty and deeply wrong headed. I can think of no figure in post World War 2 global culture more worthy of a Nobel Prize! To add to the review below which had no soundtrack here’s my all time favourite Bob Dylan song in a bravura performance from the 1966 tour soon to be immortalised in a 36 CD set! No one in the field of popular music has ever written as well as Bob Dylan and no one has performed and sung with such inimitable power. Sometimes, you just know. There is literally something in the air. A sense of gathering fevered anticipation as the crowd assembles and the air becomes charged with faith and hope that this will be one of those nights. The ones that you will relive in memory and recount proudly a thousand times to those who didn’t have the foresight, the cash, the sheer luck to be in that town on that night when everything clicked, when the energy built and built arcing from person to person, from stalls to gallery and flashing from the stage until we were all swept up and away into an ecstatic realm for those few hours on that one night that you will never forget and never be quite able to recapture. I discovered and fell headlong into obsessive allegiance to the music and persona of Bob Dylan as a callow fourteen year old in 1969. Up to that night, when I incredulously listened to the epiphany of Desolation Row on a French language radio station I had been largely dismissive of contemporary pop/rock music. Much as I liked the vitality of the Beatles and especially the Kinks I was not thrilled and transported by their records in the way that I was when reading the works of D H Lawrence or Chekhov which seemed to open up whole new worlds of sensation and understanding. The Dylan I discovered that night was like the elder brother I never had – someone cleverer, more assured and knowing than me who yet leaned over to tell me all the secrets he had learned with a nod, a wink and a rueful grin. He would continue to fulfill that role throughout the following decades. So, when I saw him in concert in November 2013 at London’s Albert Hall I was moved to reflect on all the years and miles we had travelled since he had last been there. At the Albert Hall In 1966 when the last notes of an epochal, ‘Like A Rolling Stone’ that sounded like nothing less than an electric typhoon faded into the night air Bob Dylan walked off stage a fully realised genius. In the previous four years he had created a body of work that would have, even if he had never recorded again, made him the single most important artist of the second half of the century. However, he was also swaying on the precipice of a physical and emotional collapse. This was brought on by an impossible workload of recording and touring only tolerable through the fuel of a teeming headful of ideas and an increasingly dangerous reliance on ever more powerful drug cocktails. He had once said that, ‘I accept chaos – I’m not sure if chaos accepts me’. Now he was learning to his cost that chaos was indifferent to his acceptance – chaos swallows and destroys. He was saved from permanent burn out and death by the happenstance of a motorbike accident that gave him the opportunity to clean up, rest, recuperate and find a new way of working allowing for some form of future and family life in the haven of Woodstock. Over the next 47 years he would never again attain the heights of inspiration achieved through to 1966 (neither would anyone else!) but he would continue, in an unmatched way, through craft, cunning and sheer bloody mindedness to write, create and perform works that honoured the traditions of American song while being thoroughly modern, post modern and finally timeless expansions of and additions to that tradition. So, when he returned to the Albert Hall as Thanksgiving approached in November 2013, as he looked around at the grand old venue he might have been excused the quizzical smile that had become his trademark expression. Much like Ishmael returning after an age to the Nantucket waterfront he carried with him the knowledge of how hard survival could be and how that knowledge was every bit as much a curse as a blessing. In 2013 Bob Dylan could be more reasonably compared to an old testament prophet (Jeremiah? Isiah? Micah ?) than to any of his ‘peers’ within the entertainment industry albeit a prophet who doubled as a song and dance man. A song and dance man, walking and gliding through a blasted landscape, who while not dismissive or disrespectful of his classic creations, primarily chose to mine the new seam of the songs collected as Tempest. In this he was aided by a road tested band, alert to his hair tigger mercurial nature, who artfully melded blues, rockabilly and sly swing to embody and illuminate the songs. Upfront, the man himself settled either into a seafarers stance when centre stage or bobbed like a sparring boxer when stationed behind the piano. His voice, a bare ruined choir of its former glory, though still uniquely distinctive, adapted its tone to the demands of each song – variously knowing, bewildered, threatening, regretful, cajoling and doleful. Somehow his totemic harmonica playing still manages to encompass all these qualities and more and audibly thrills the warmly affectionate audience. Bob Dylan has, not without cost, become what he set out to be all those years ago – a hard travellin’ troubadour, with a lifetimes worth of songs, something for every occasion, in his gunny sack, always on the way to another joint. Always looking at the road ahead not the road behind. I can’t help but feel that up ahead the shades of Robert Johnson, Hank Williams, Whitman and Rabbie Burns are waiting to welcome another to their company. Well they can wait a little longer – this troubadour has more miles to go before he’s ready for the final roadhouse. May god bless him and keep him always. Thanks to Karl-Erik at Expecting Rain for posting this article on his wonderful site. This entry was posted in 1960s, Americana, Blues, Bob Dylan, Country Music, Folk Music, Gospel Music, Music, Rhythm and Blues, Rock 'N' Roll, Tributes and tagged Albert Hall, Bob Dylan, Nobel Prize 2016, One Too Many Mornings by Thom Hickey. Bookmark the permalink. Thanks. His lecture is something too! Thom. Yes, I liked what he wrote about The Odyssey. Thanks. He has a visceral grasp of story and myth. Thom. Bob, our Bob… the man of the people, for the people! Our Legend! I so wish he would accept the award… even just on our behalf! Well he is sending a speech and Patti Smith! Glad to see your blog is back, I’ve haven’t been able to get it to load in months.